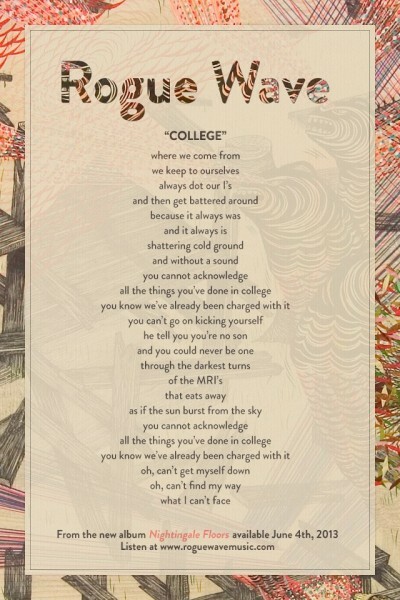 Rogue Wave has been amongst our favorite indie-bands since catching their outstanding live sets opening on tour for the likes of The Shins and Nada Surf. Rogue Wave will release a new album, Nightingale Floors, on June 4th, their first new album since 2010. To kick things off listen to the sweet jangle of College, the first song to be released off the album below. We look forward to the album and corresponding tour. Don’t miss ’em live in particular. 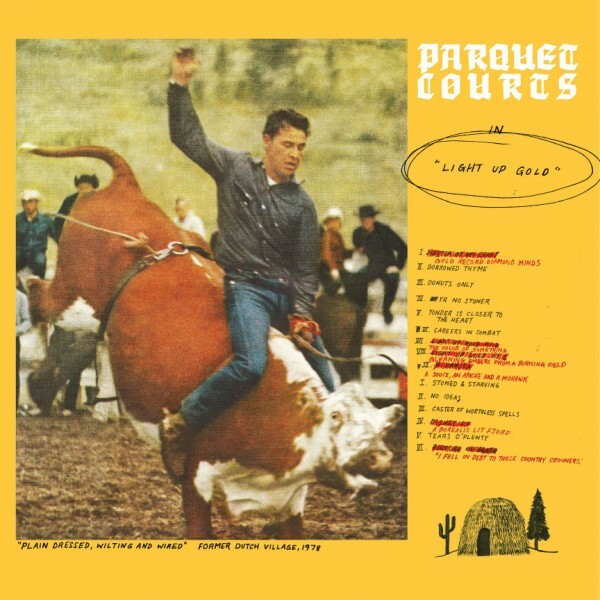 One of our favorite new bands is Parquet Courts with their phenomenal debut album Light Up Gold remains on replay on our jukebox. You can get a better feel for this buzz band below in a series of raving performances at Mellow Johnny’s Bike Shop (they can’t take that one away, eh Lance?) during SXSW, all as ably captured by KEXP. Check ’em rippin’ intelligently below. The Compton Kid, Kendrick Lamar , and his big band showed up on Jimmy Kimmel last night in support of his much-loved 2012 album good kid, m.A.A.d city. Lamar performed Poetic Justice and a “clean” version of the Marvin-esque [Girl], Don’t Kill My Vibe. Check out both below. Atoms for Peace’s Thom Yorke and Nigel Godrich recently performed together at New York’s Le Poisson Rouge. Yorke himself has just released a great video vignette from that show of their performance of Default (off of their stellar new AMOK album). View the video below. They will play the show of the year at the Santa Barbara Bowl on October 17th (see other dates below the video). Get tickets to the Bowl show HERE. After wandering in the desert for a bit, we returned home yesterday to a tweet from Westlake Village buzz-band, Foxygen, announcing that they would play a barely-announced (pop-up?) show at hip new spot, The Loft at 48 Helena Street in Santa Barbara. So we raced down with some of our favorite females for their show last night, which included openers Pure Bathing Culture (tying the night together was both bands, along with garrulous hosts Gardens & Villa, having been fortunate enough to have Richard Swift as their album producer). 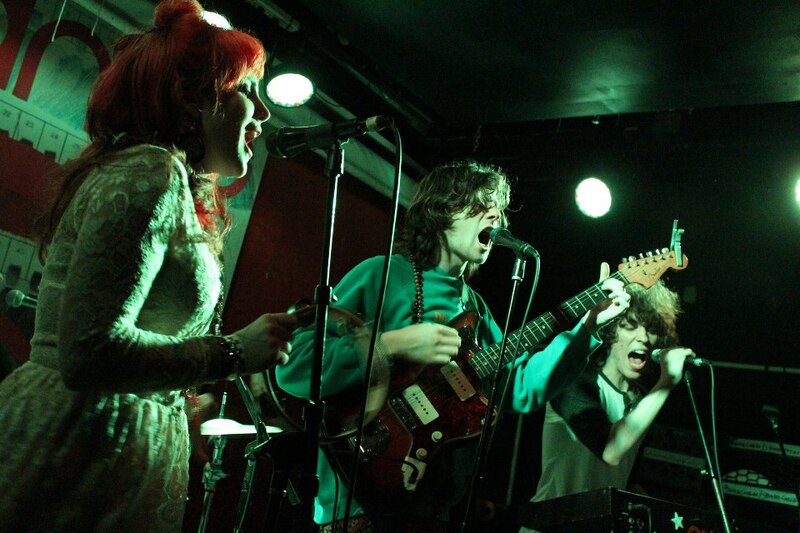 True to the buzz, Foxygen came on strong and delivered a raucous, loud and good time for all in attendance. Pure Bathing Culture opened the night with a scintillating set of pure-pop gems featuring the gossamer vocals of leader Sarah Versprule and gifted guitar-play of Daniel Hindman. While some of their canned percussion (particularly when they’ve got an actual human on drums) and harmony vocals grated on us (a pet peeve of ours), the sophistication of the songs and their delivery won us over completely. The band is currently recording their debut album with Richard Swift. Look out for it later this year. Again, we feel fortunate to have caught them. Frightened Rabbit has been out on tour wowing crowds with their new album Pedestrian Verse. The band has now released an EP entitled Backyard Skulls EP, containing alternate versions of two songs from Pedestrian Verse and a new track, Norland Wind, which is their cover of a Scottish folk song. Listen below to superb alternate versions of (the anti-brimstone) Holy and The Woodpile songs from their album, and go buy the Backyard Skulls EP. And the band has graciously gifted fans their 2011 Frightened Rabbit EP, which you can grab HERE. The lofty Low will be in Cali next week in support of their mesmerizing new album The Invisible Way. You can catch them at the Troubadour in LA on April 2nd and at Great American Music Hall in SF on April 3rd. Thalia Zedek opens both shows and tickets are still available for LA HERE and for SF HERE. They will also do an in-store at Fingerprints in Long Beach on April 1st at 7:00pm. Admission is free and will be on a first come, first serve basis. To prepare, check Low out below singing in tongues on Holy Ghost for BeatCast OffBeat Sessions. I feel the hands but I don’t see anyone. It’s there and gone. Feeds my passion for transcendence. Turns my water into wine. Makes me wish I was empty. Some holy ghost keeps me (hanging on, hanging on). Detroit’s Dale Earnhardt Jr. Jr. will soon release a new EP entitled Patterns featuring all new songs. To kick things off, the band has released new song If You Didn’t See Me (Then You Weren’t on the Dancefloor), which you can listen to below. The song starts out all weepy, George Harrison-guitar and then morphs into an upbeat, uplifting ditty. In support of the EP, the band has announced a handful of shows, including the El Rey on May 16th and San Francisco’s Independent on May 17th. Tour and tickets info can be found HERE. We love the crystalline, spare-pop of Toronto’s Snowblink and are still enamored by their sublime 2012 album Inner Classics on Arts & Crafts. Daniela Gesundheit’s lucent vocals combine with Dan Goldman’s winning ways with wires (guitar strings, electronics, you name it) to create perfect song-soundtracks. Speaking of which, the duo’s new video for Inner Mini-Mississippi is the perfect soundtrack for the current Spring Break set. Check it out below followed by a stream of Inner Classics. Warning: the video features gratuitous, heartwarming hula-hooping. The band is out on tour and the dates are at bottom. We are big fans of Canadian band Bahamas (led by the multifaceted, honeyed-voiced Afie Jurvanen). Check the band performing Southern Drawl off their first album Pink Strat for HearYa. Sweet sounds and song.